Right now, we take less than 30 minutes to get our water. We also grow vegetables at our farms which we consume and sell, as well as at the nearby market. Neighbors and vendors come to get vegetables from our farms. 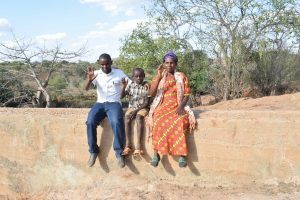 A year ago, generous donors helped build a sand dam for the Kyeni kya Karuli Self-Help Group in Kenya. Because of these gifts and our monthly donors, partners are able to visit project sites throughout the year, strengthening relationships with communities and evaluating the actual water project. These consistent visits allow us to learn vital lessons and hear amazing stories – we’re excited to share this one from our partners Titus Mbithi and Joseph Kioko with you. Students had to skip school because they were spending so much time in search of water. 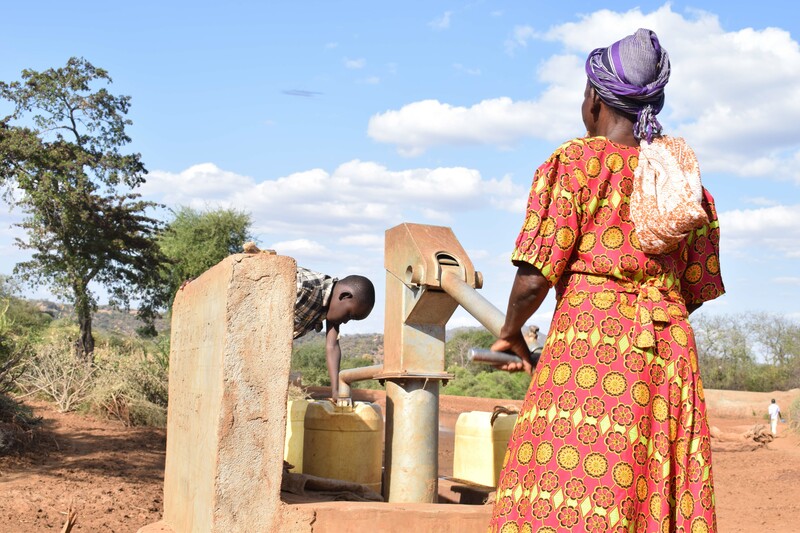 Moses Muthengi is one of the many people who have directly benefited from having water nearby. “Before the project, we used to walk for long distances close to four kilometers one way and line up for hours because people came from different regions to fetch water at Nthungu River. Right now, we take less than 30 minutes to get our water. We also grow vegetables at our farms which we consume and sell, as well as at the nearby market. Neighbors and vendors come to get vegetables from our farms. We have been able to make bricks using the available water and built good structures at our homes; bricks are also sold, fetching some money,” he shared. 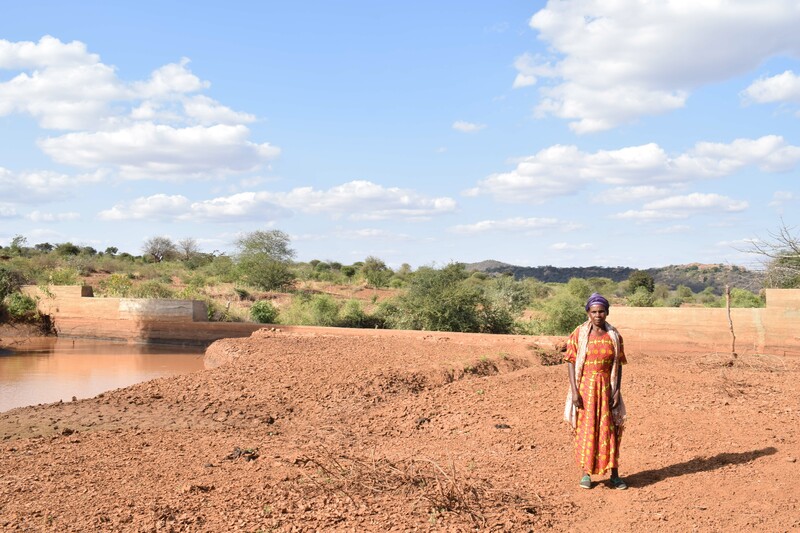 Naomi Mwenda standing in front of the sand dam. Naomi Mwenda added that she used to have to walk six kilometers to River Tyaa to find water. “My cattle now only walk a short distance to access drinking water and this saves them from a lot of lung diseases caused by dust inhalation,” Naomi said. The sand dam has brought so much water close to home that there’s enough for all of the cattle, for farm irrigation, domestic use, cooking, and drinking. And now that there’s a significant amount of water stored in the sand, grass has started growing along the riverbed. This provides a great grazing area for livestock. Naomi pumping water for a little boy named Vundi. When you invest in The Water Project, you're investing in people like Moses Muthengi. Your gifts help us reach more communities with the gift of clean, safe water. And every drop helps unlock potential.